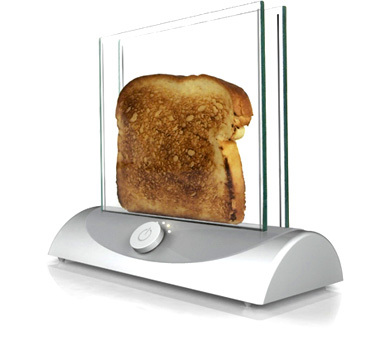 This innovative “Transparent Toaster” concept uses special heating glass to warm a single slice of bread. Unfortunately, the glass does not reach a high enough temperature — at this time — to actually toast the bread. No word yet on if this concept will go into production. Oh man, that is so awesome. I want one. mmm Yummy, 1 problem .. 1 toast..